The Virginia Institute of Marine Science traditionally chooses a theme—animal, vegetable, or mineral—to headline its annual open house. A theme image, chosen from entries by local artists, adorns the Institute’s Marine Science Day T-shirt, program, and promotional materials. This year, the theme is oysters, and VIMS has partnered with Gloucester Arts on Main to publically showcase the talents of local artists who submitted contest entries. The display is available at the gallery from March 13th through the 28th, with voting for a “People’s Choice” award possible until May 3rd through the VIMS Facebook page at www.facebook.com/fbvims. 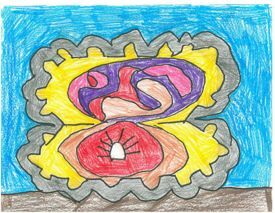 Entries for this year’s Marine Science Day Artwork Contest were solicited from the public, as well as from art and science teachers in local schools. VIMS Outreach Coordinator Susan Maples says the response was fantastic, with 90 entries submitted by participants in the contest’s two age groups: 60 from students in grades K-8, and 30 from high school students and adults. Maples says the contest winners—including the recipient of the overall Grand Prize; the first-, second-, and third-place winners in each category; and winners of “People’s Choice” awards in each category—will be recognized during the Marine Science Day Award Ceremony on May 18th. VIMS’ Marine Science Day, now in its 12th year, is a fun-filled event for the whole family, featuring exhibits, children's activities, seining on the York River, lab tours, seafood cooking demonstrations, mini-lectures, the popular Parade of Marine Life, and much more. All activities are free, as is parking. The event runs from 10 am to 3 pm and proceeds rain or shine. Gloucester Arts on Main—open from noon to 6 pm Tuesday through Saturday—is dedicated to enriching the cultural and economic life of the community through the presentation of art, the performing arts, and other events. It is also dedicated to cultivating an appreciation of art through classes for adults and children. All the activities at Gloucester Arts on Main are partially supported by the Virginia Commission for the Arts and the National Endowment for the Arts.